Superbowl Sunday is less than a week away. Oh, and I can't forget drink beer. Let me add that below. 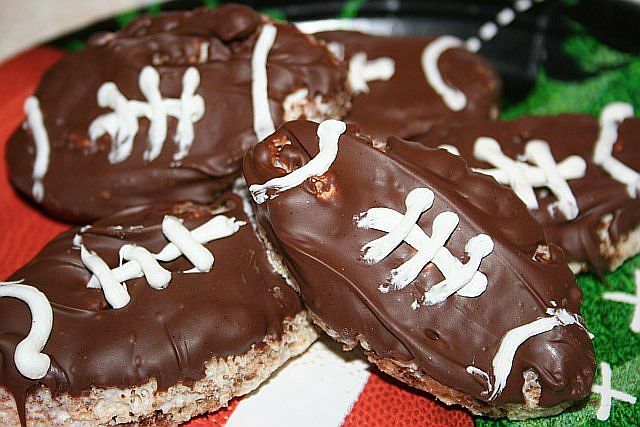 My first post for Superbowl edibles shall be the Krispie Footballs. 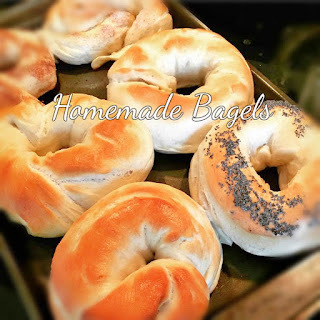 Easy to make, although a tad time consuming. The start to finish on these bad boys will run you about an hour. But they are worth it if you enjoy simple sugars. 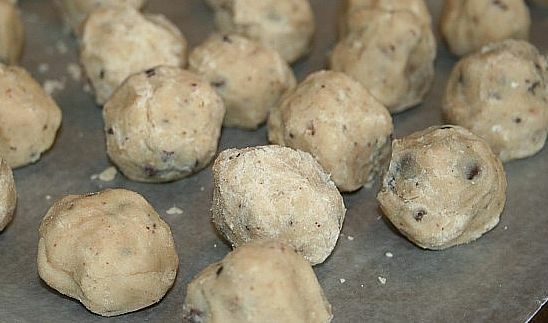 To prepare Krispie treats, melt margarine or butter over low heat in large saucepan. Add marshmallows ans stir until melted. Remove from heat and add krispie rice cereal. Stir until cereal is well coated. Line a space on your counter top with wax paper. 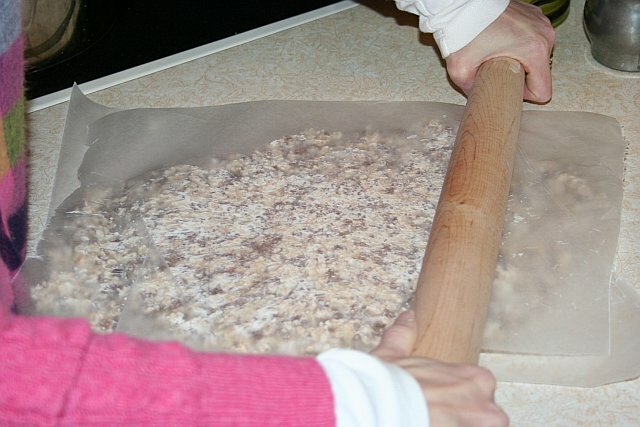 Remove krispie mixture from pan and turn onto wax paper. Cover with another sheet of wax paper and roll with a rolling pin. Using greased football shaped cookie cutter, cut footballs. 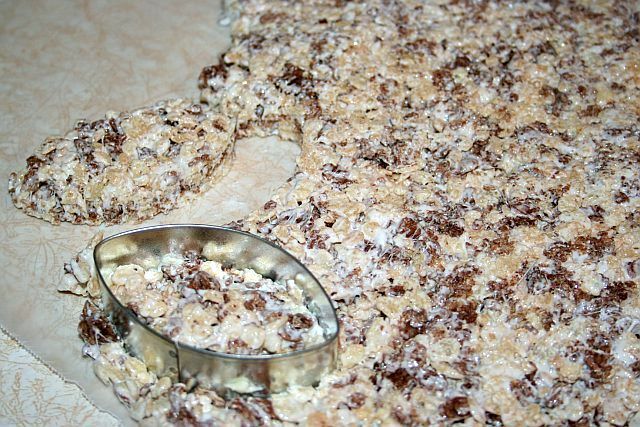 I added scraps to krispie mixture with rolling pin. Once footballs are cut, and excess scraps are eaten, melt 95% of milk chocolate chips in heavy glass bowl on high heat for one minute. Remove and stir, continue heating for 30 second intervals until chocolate stirs smooth. Add remaining 5% chips and stir until melted (this will "temper" chocolate, making it a better consistency to dip). Dip tops of footballs in chocolate. Place on wax sheet to set. Once chocolate is set, place frosting in plastic sandwich bag, snip corner, and decorate footballs. Bring to Superbowl party and inhale. More Superbowl edibles to come this week! 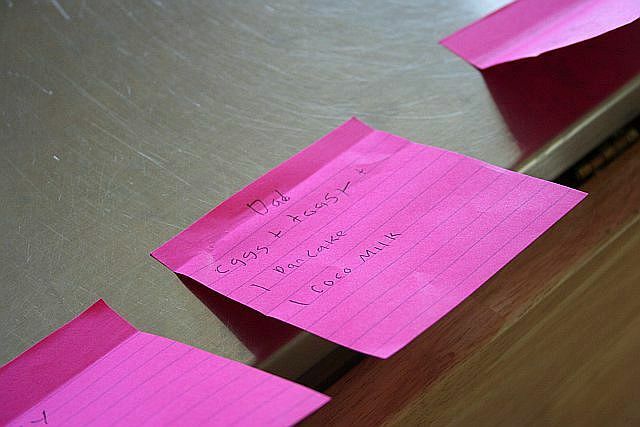 get those grocery lists ready! Today is my Hubby's birthday. He is 38 years young. I can say with certainty he is aging fabulously, with minimal wrinkles and no weight gain. Men can be such bastards. 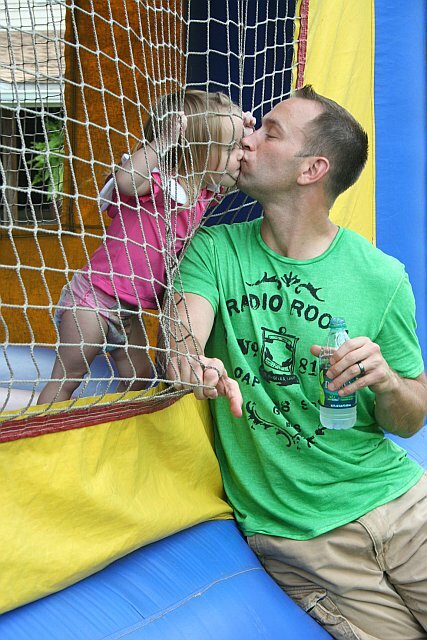 Kidding aside, he is an incredible dad. He takes the chaos that is our life in stride, and he rolls with my insanity. He's a fab golfer, and holds his own on the infamous men's softball team. He also coaches, cleans and sorts laundry. And watches awful television like "Finding Bigfoot" and "Tank Battles". The Hubby loves a good time, and we find a happy medium (usually) that accommodates my non-drinking stay-home-and-watch-movies self with his balls to wall party persona. Today I wish my athletic, party loving, easy going, television watching, laundry sorting, house tidying, partner-in-crime Hubby a very Happy 38th. And I want to remind him he will always be older than me. Always (wink). Today we trekked out to Long Island for the USAG State Championships. For anyone who doesn't speak gymnastics, this meet was the creme de la creme. The best of the best. The cream of the crop. The qualifying gymnasts from all surrounding gyms (we drove over two hours) compete to take home any State Title they can get their chalk covered hands on. 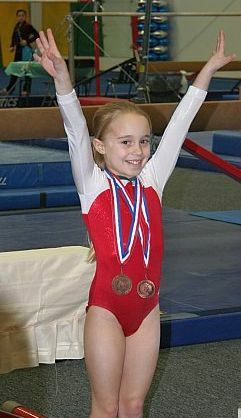 Our Gymnastics Queen scores well. She has her stronger events (uneven bars and beam) and her events that could use some tweaking (vault and floor). But she trains hard in every event. She doesn't miss practices, and she sacrifices playdates and birthday parties to be in the gym. To compete in any sport, you have to love it. Gymnasts need to love it more than anything else, because there is no time for much else once you are competitive. And so far, our little girl loves it. After the first few scores were posted this afternoon, we knew this meet was no walk in the park. If you weren't scoring above 9.25 (out of 10) on any event you weren't going anywhere near that podium. A 9.25 anywhere else might get you first. Today you were lucky if it got you 5th. The last two events for our gymnast were her strongest, the bars and the beam. When I watch my daughter on beam, my stomach ties in knots and my palms sweat like I'm in the tropics. I think I hold my breath for the full 50 seconds she is on that beam. This afternoon, her beam was close to flawless. She was steady, poised and strong. Her legs were straight and her scale was lovely. But just as she went to dismount, and I started to breathe again, something happened. She missed it. Our girl blew the dismount. She has never missed her dismount. Her side handstand dismount was one of her biggest accomplishments this season. And today at States, she missed it. And I'm pretty sure, courtesy of me, there's an expletive on our home video. What could have been a first or second place routine, at the biggest meet of the season, was just a routine. And I am grateful beyond words that our daughter wasn't crushed. Maybe because we don't stress about it, she doesn't stress about it. We process the disappointment and move on. But I tell you, today it was a lot to process. Being "the best" will always be temporary. There will always be someone to take your place. And even if she won a gold or silver medal today, the next meet is always right around the corner. We're more focused on our Gymnastics Queen being successful. Success is measured by what you've earned over time. Not what you've earned in one day. Years of hard work is often measured in moments. And there will be times that hard work earns you moments of greatness. And there will be times you're gonna miss that dismount. But nothing will take away the fact that you did the work. Nothing. Oh fudge. How I love thee. This recipe is brought to you just in time to hunt down Andes Peppermint Crunch Chips and turn them into fudge for Valentine's Day. If you can't locate Andes Peppermint Crunch Chips (Amazon link below), or you don't fancy peppermint, I will provide alternate ingredients for ya. But I must highly recommend the peppermint pieces route. They make for some kick arse pink, minty fudge. Before you gift this to anyone special, please adhere to Mommyhood packaging standards. Package beautifully, with care. 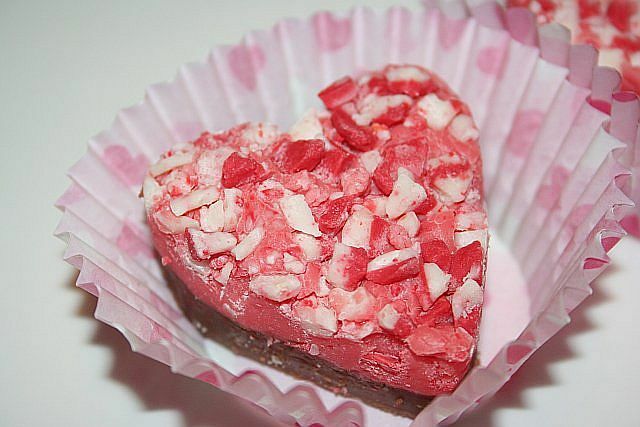 Valentine cupcake wrappers are perfect little houses for heart shaped fudge. Or invest in 1/2 pound candy boxes, and seal with heart stickers. It's all about presentation. And fudge. Line 8x8 square pan with wax paper (9x12 works as well, just makes a thinner fudge). Heat heavy saucepan over low heat. 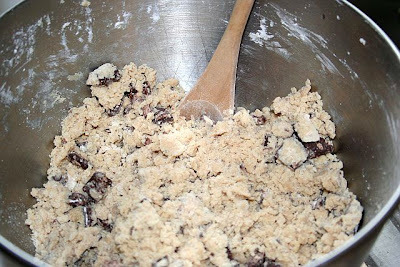 Add milk chocolate chips and 1/2 can sweetened condensed milk. Stir until smooth. Remove from heat and add 1/2 tsp vanilla. Pour into prepared pan. Place pan in fridge, allowing fudge to set. Reheat saucepan over low heat. Add Andes pieces, reserving 1/4 bag for topping, and other 1/2 can milk. Stir until smooth. 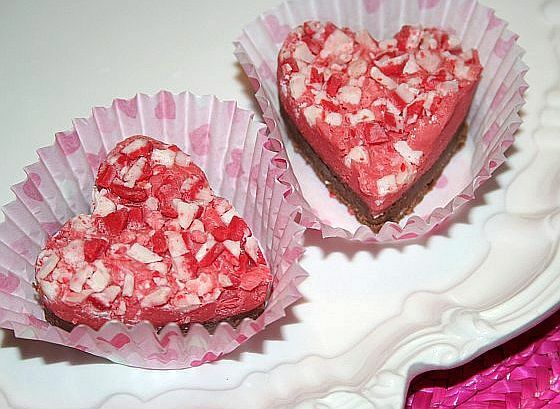 Remove chocolate fudge from fridge and pour peppermint fudge over top. Spread evenly, and gently tap dish to remove air bubbles. 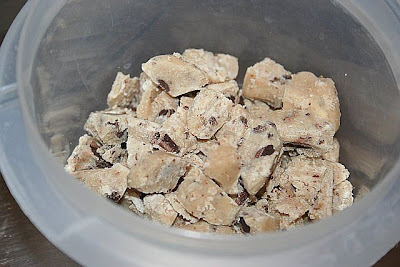 Sprinkle with Andes pieces, gently pressing them into fudge**. Return to refrigerator for a minimum of 1 hour before cutting. I used a small heart cookie cutter for my fudge. Feel free to do the same, or get crazy and try something else. After all, it's the weekend. Crazy is in. This morning I packed up the Moopa and drove twenty five minutes to the mall. I had a few Christmas returns in the dining room that were driving me nutty. 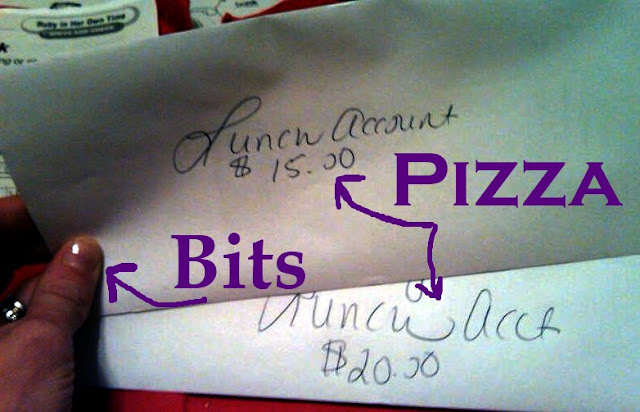 I also had several post-holiday coupons burning a hole through my purse. As I was pulling off the exit at 9:50am, a terrible realization washed over me. My stroller, with it's snack tray and child-securing you-shall-sit-so-I-can-shop-in-peace straps, was in my garage. 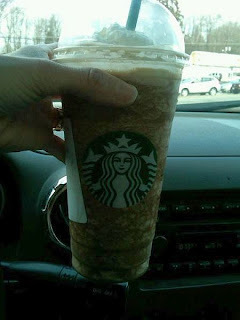 I quickly remedied the initial stress with a trip through the Starbucks drive-thru. My debacle called for venti. This drink helps me to relax and think clearly. It also makes me happy. Next stop was the Target adjacent to the mall. I plopped Moopa in a cart and made record time to the baby aisle. I perused the stroller selection, looking for the least hideous design with the cheapest price. 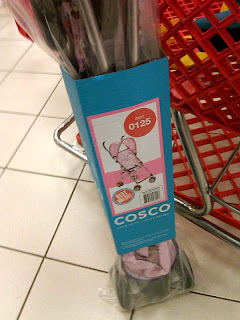 I settled on a pink Cosco umbrella stroller. It required just about no assembly. It screamed "open and go". I was meaning to buy a new stroller anyway...wasn't I? Something lighter and smaller? With swivel wheels and a small sun shade? I walked my purchase over the Cafe area, disposed of all packaging, and popped the wheels on that bad boy. Within 20 minutes of realizing my morning at the mall might play out like a Greek tragedy, the tragedy was averted. I had a Starbucks in hand and new stroller with a happy Moopa. 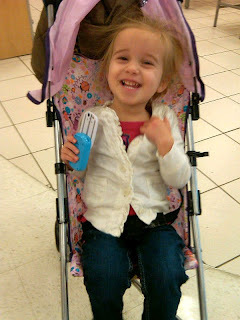 She was extra smiley because she managed to swindle a new Cinderella phone out the deal. 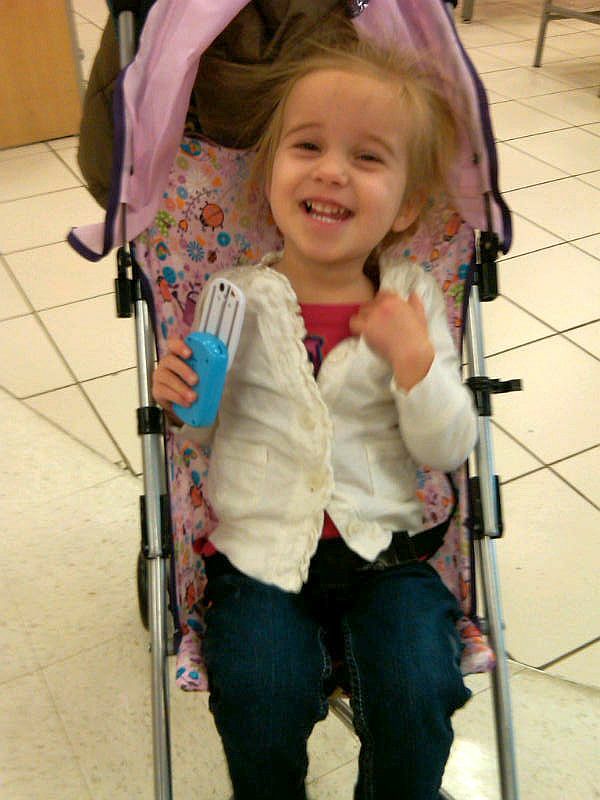 As always, a happy Moopa equals more time at the mall. 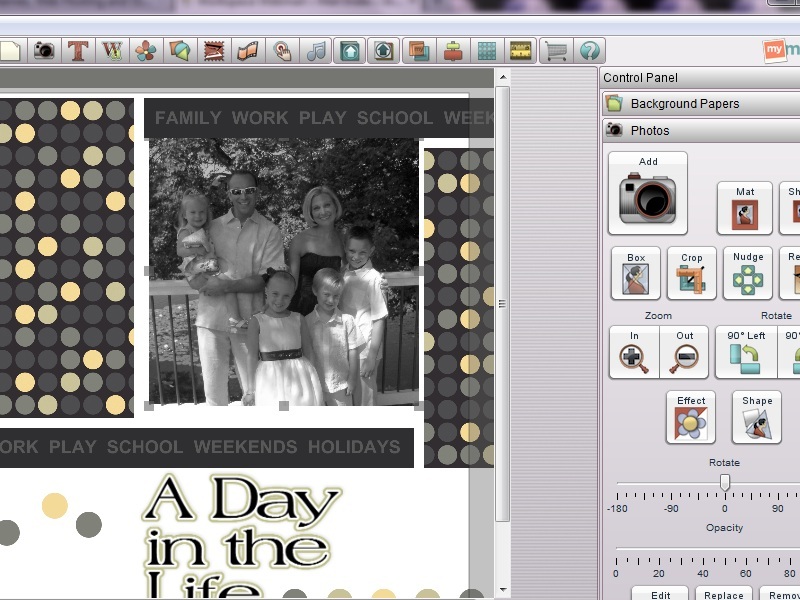 Over the past few days I have been experimenting with a digital scrapbooking software called My Memories. The company was kind enough to contact me and give me a code to test the software. And I must admit this stuff is fancy-schmancy. I have long been a fan of scrapbooking, even though I am limited in my abilities. 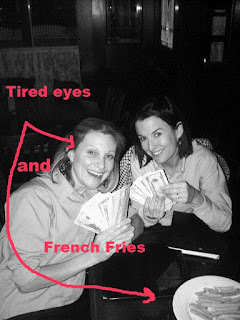 What I love about My Memories is how it blends online photo editing with scrapbooking. But this software is more than just albums and pictures. You can create movies, photo books, calendars, labels, invitations, gifts and even cupcake liners. You can sit for hours creating, all without the mess. On my sidebar I have a link with a coupon code to save up to $20 on one of the My Memories downloads. Even if you just want to browse, I encourage anyone who loves to get creative with photos to check the site out. There are even a few free downloads to enjoy. 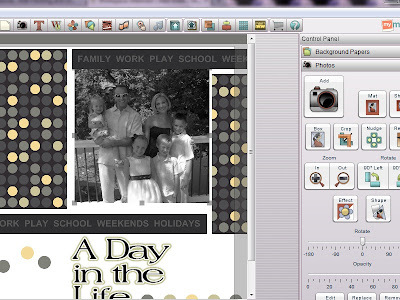 On my Reviews Blog, MommyViews, I am hosting a giveaway for a FREE digital scrapbooking download. Winner will be chosen with enough time to make some awesome homemade Valentine's! Mommyhood Footnote: I am receiving no monetary compensation for this "review", just the pleasure of toying around with the software. To purchase software, visit My Memories and don't forget to use code STMMMS79034to save up to $20! I will begin by stating I don't watch Dr. Phil. I haven't read his books. I don't read his articles or follow his show. I'm sure he's fabulous, but he doesn't air on Nickelodeon, Sprout, PBS or the Disney Channel. Or Good Morning America. But a long time ago, I read one of his articles. Or saw a show. Ah heck, I can't even tell you where I got this from. I just remembered it. And I remembered it was his. I have kept it with me ever since because it just made sense. I have heard countless amounts of parenting advice from countless amounts of people. We all have. Everyone loves to share their nap tricks and diapering bravado. There are recipes to remember and cleaning secrets to try. As with much of the information my brain has tried to absorb these past 10 years I have forgotten 90% of it. The best advice has come from my mother. That I can say with certainty. But this advice from Dr. Phil, about "doing more than telling your children what not to do" resonated with me from the moment I heard it. Or read it. Or ate it for breakfast. I like to imagine him saying it in his "twang". This advice seems so simple. Of course we need to do more than tell them what not to do. We all know that. But we all forget to do it. And we forget all the time. "Don't throw sand!" "Stop yelling in the house!" "Don't poop on the floor!" How many times do we tell them what to do? How many times do we gently explain what is appropriate? "We play with sand like this (example), because it hurts when it gets in your eyes." "We speak in the house like this (example) because Daddy's on the phone." "We poop in the toilet like this (example) because..."
Squash the poop example. You get the idea. I will stop here and say I am not perfect. I am so fabulously far from perfect I could post for hours about all my flaws. Parenting and otherwise. I lose my temper and I lose my patience and I constantly lose my keys. But I have always made an effort to tell my children how to behave. How to speak. How to love. Even better, whenever possible, I show them. And I am just sending a reminder to all the mommies and daddies out there to do the same. I'm even reminding myself. Because we're not raising babies, we're raising people. 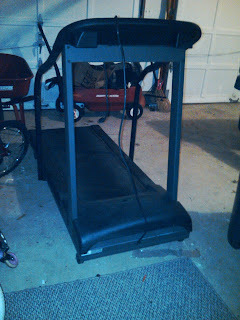 If anyone isn't a regular reader of this blog (gasp), they may need a refresher on my treadmill debacle. Long story short, it didn't fit down my basement stairs. My carpeted, semi-cozy basement which was awaiting its arrival. It now resides in my garage. Longer story is here. Read up if want a chuckle. Anywho, last week I was determined to get back on the horse. From March until November I make every effort possible to run a few miles at least five times a week. I run during naps, before Hubby leaves for work or after he returns home. Over the summer months I love my runs enough to run four miles most days. Sometimes more. My story changes once the weather turns. Around the end of October I lose my steam. Every year, I take a "running hiatus" from November until January. I give myself permission to let myself do nothing in terms of exercise. I accept the fact that I will be cursing my way back into shape. When my treadmill was forced to live in my garage, alongside the garbage pails and paint cans, I was left no choice but to make some lemonade. Hubby positioned our new hamster wheel to face the windows. 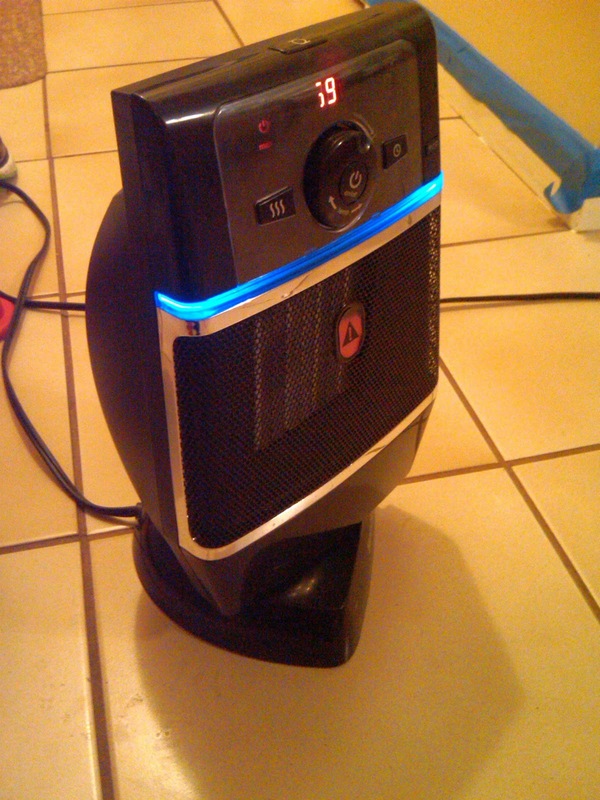 We added a small space heater, which truthfully does just about nothing. Last week, I bundled up and hopped on that treadmill for my first run since October. The garage was a balmy 45 degrees. I forced a 5K right out of me. Once I hit two miles I knew another mile was somewhere deep inside. To everyone out there who is "resoluting" to exercise, I say get on that horse. 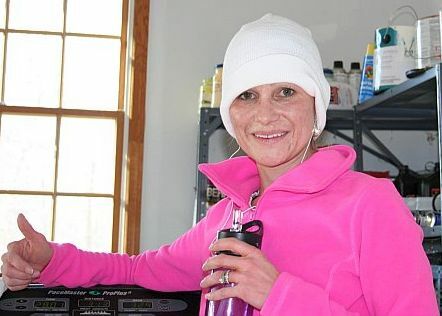 Push through the winter blues in your winter hat and bright pink fleece. And watch those minivans drive by as you plug away on that hamster wheel. It's Saturday night and I'm about to hit the sack. Work was s-l-o-w. I'm assuming we haven't had enough winter weather to drive people nutty. No "cabin fever" has set in up in the northeast....folks are tame and happy to be by their fireplaces. I don't have a fireplace. Maybe if I did I wouldn't mind the temperature being 12 degrees. I aspire to one day have a fireplace. And I do mind the temperature being 12 degrees. Tomorrow is "Football Sunday". This simply means it's Sunday and we watch football and gorge ourselves. 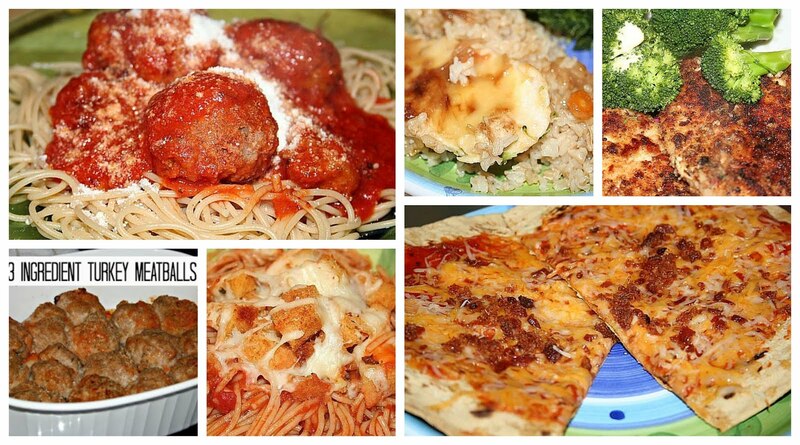 I love "Football Sunday" and I'm thinking of making a Stromboli. Aside from my rambling and a post title that makes no sense, I would like everyone to know my camera has dozens of photos ready for upload. I will then share colorful tales of my garage gym, Krispy Footballs and paint selection gone wrong. Until then I say goodnight and God bless. And get ready for some football. 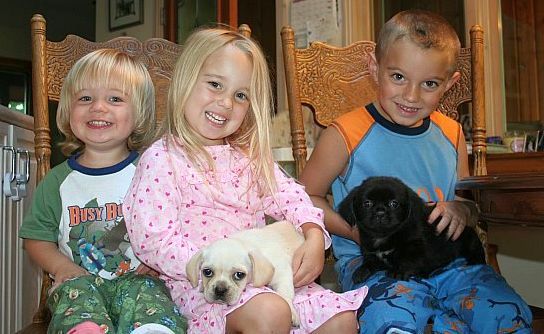 My munchkins in 2006. Sniff sniff. Time flies when you're a mama. 1. Today we have a school assembly, a snack sale, a gymnastics meet and a baby gymnastics class on our agenda. 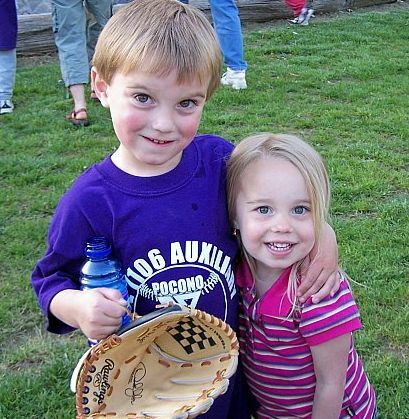 It is also the first day back at school for my Sports Fanatic, who has been out of school since last Friday. 2. Just thinking about everything listed above makes me confused. 3. There is apparently some winter weather I was not aware of for the next few days. Amazing what sneaks up on you when you only watch the Disney Channel. 4. I still have to finish my snacks for the snack sale. I made Krispy Football Treats because it is the playoffs. And I love Tom Brady. 5. My munchkins are in bed, 50% of them fast asleep. The other 50% is waiting for my goodnight. If I don't get my arse upstairs, my Sports Fanatic will lay awake until his eyeballs can't take another blink. Happy Friday Everyone. Make it a good one! Hello Pediatrician. It's Us Again. We know our pediatricians well. We also know the front desk lady well (yes, our insurance is still the same), the nurses and the sticker lady at the check out well. When we walk up to the check out window I look though the glass and say, "It's just us again..."
Chuckles ensue. Until I have to hand over my copay for the umpteenth time. This week I decided to take my Sports Fanatic to the pediatrician Monday because his cough was fairly nasty. And on my way out the door I grabbed LLG because he'd been clearing his throat for weeks. LLG loves to carry strep throat and give it to everyone just for kicks. When I hear him clearing his throat it's time for the wooden stick and dreaded cotton swab. We left the pediatrician Monday afternoon with diagnosis of pneumonia (Sports Fanatic) and strep (LLG). We then left the pharmacy down $140. 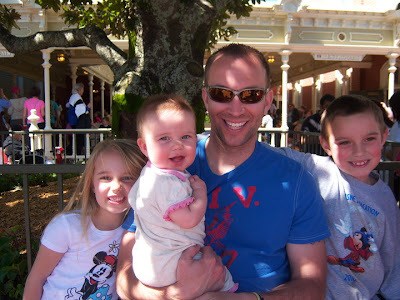 My week continued with 75% of my brood home on Tuesday. By Wednesday only my Sports Fanatic was home from school. And at 10am he ran to me complaining he was "burning". He was covered in hives. And so we went back the pediatrician. And told them it was us again. We left with the assumption the hives were a reaction to the antibiotics. 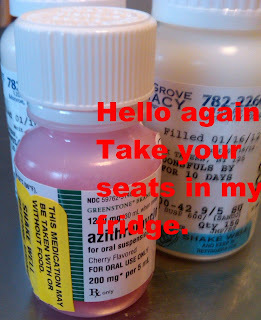 Our medicine regimen was switched from antibiotics to Benadryl. They informed me he could break out in these hives for days as the medicine clears his system. And in case you're wondering, he is home again today because his fingers swelled to the size of Jimmy Dean sausage links. I assumed it would be difficult to hold a pencil under such conditions. I treated him to a book from Barnes and Noble for his troubles. He is really missing his old "life" right about now. He hasn't seen a friend since Monday. With my Sports Fanatic on the couch and Moopa headed for a nap, I think I may chug the left over antibiotics for good measure. Have a fabulous Thursday. This Mama is ready for the weekend. 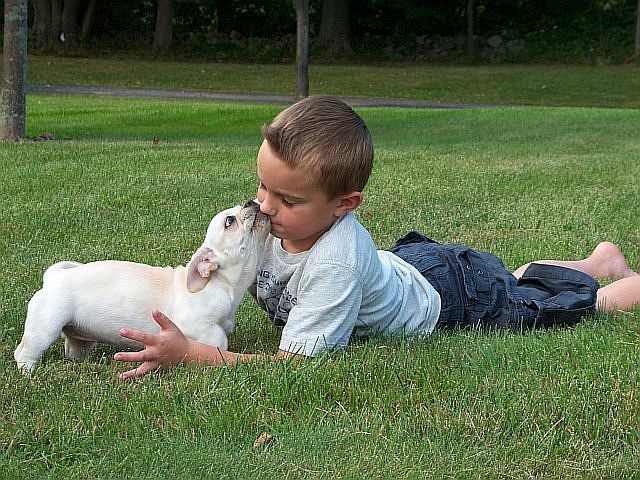 Four and a half years ago, when we uprooted our munchkins from their home in Pennsylvania, we promised them a puppy. Our pup was so irresistible my parents welcomed her brother into their home. 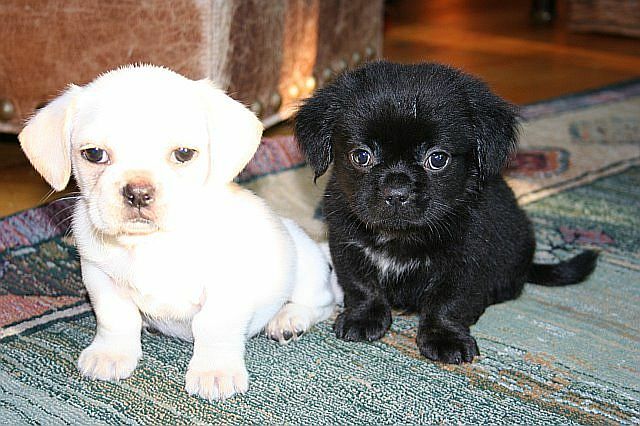 And for three weeks our munchkins were able to have two puppies instead of one. I'm pretty sure the stress from the move and the training of the puppies made me crazy. But no one seemed to notice. Or I'm just crazy all the time. Regardless, these pups helped ease the transition from one house to another. From one school to another. From one life to another. And I admit I have never been a fan of dog poop, dog puke, or dog hair. But I have learned to live with all three. Because this puppy love was worth the trouble. And four and half years later, we've settled into a semi-peaceful existence. This past weekend, a large piece of equipment was delivered to my house. I had been waiting for a few months for it to arrive. It is rather special. A hand-me-down I have utilized for years at my mom and dad's house. A gem that I have bonded with and truly come to love. On Saturday, my father and my brother loaded this giant, awkward item into the back of my dad's pick-up truck and they drove it to my house. I thank them both greatly, because I am certain they had better things to do with their Saturday. Before they arrived, they called and asked me to measure my doorways. My stairways. And every entrance-way in my home. They gave me the forewarning that this thing was wide. And chances were it was not getting in the house. I laughed and measured a few doorways. I knew we could somehow manage to get this thing in the basement. Alongside the laundry. On a cozy carpet. Right where it belonged. My dear sweet jiggle-saving treadmill is currently residing in my garage. The same place I keep my cans of soda because they stay colder than they do in the fridge. Until I can finagle a way to move this monstrosity inside where there is heat, I shall toss on a fleece and move this little baby outside. I am also considering moving my treadmill to face the windows. This way I can pretend I'm running out in the great wide open, and not next to the recycling. Who needs a gym membership when I can run in my garage for free? Amazon has some great deals if you care to join my "at home" revolution. Check them out! There are several phenomenal things about having friends who also have children. They don't mind mess, they don't mind kids, and they are just as crazy as I am. I particularly like to keep company with moms who roll with the chaos. My best mom friends welcome playdates and clean the mess afterward. Snacks are plentiful because the kids get hungry, and it keeps them quiet, er happy. We worry about the fruit and vegetables at our next meal. It's called I'll take two of yours, you take two of mine. No munchkin cries in protest they "have no playdate!" and no munchkin is left behind. God Bless all Mommies. We certainly teach ourselves well. This morning, as we were all chillin' in our pajamas, LLG asked if he had to go to school. He "didn't feel like it". I told him it was Sunday. Never one to give up on such a pressing topic, he continued with his inquisition. "Do I have to go tomorrow?" "No. It's Martin Luther King Jr. Day". "You know that guy Mom, who shot him?" "Well, if you don't like someone, you don't have to shoot them." Isn't that the truth. If only all hearts could be as good as the hearts of children. Please please, Puh-L-E-A-S-E take your nap. You have been in your crib for twenty minutes and I can hear you chit chatting with the walls. Your little eyeballs need to rest for a minimum of ninety minutes. You need to recharge your toddler batteries in order to perform at optimum levels until bedtime. It is imperative you obey this request. Mama has stuff to do. Since having a family, indulgence for me has evolved greatly. I have gone from buying myself clothes (high school), to buying myself less clothes (very minimal time in college), to hours at the salon (engagement year), to Babies R' Us to buy anything I could afford (early Mommy years) to trips to Target to buy as much generic as possible (current lifestyle). Indulgence these days means scented hand wash. Or Dove soap. If I'm really feelin' crazy I buy triple bladed razors. My nails are in bits most days because I clean my floors. And my toilets. And most everything else within these walls. Hey, I even clean the walls. I can safely say manicures are a far second to money in the school lunch account. And pedicures? No one will see my feet until May. When my munchkins ask (and they do) why my hair is "one color on top and a different color on the bottom", I tell them it's because they are signed up for summer camp. And that Dad has too much baggage to go anywhere anyway. I may not have everything I want (my kitchen counters could use a face lift...) but I have more than what I need. My soul is full and my days are happy. I am less spoiled in "things" but extremely spoiled in love. And it's a fabulous trade. Happy Weekend to all. Enjoy it! For Christmas, I received a bag of Coconut M&M's in my stocking. It's just my kind of stocking stuffer. I placed them in the cabinet to the right of my fridge. This is where I stash all the simple sugars I don't plan on sharing. 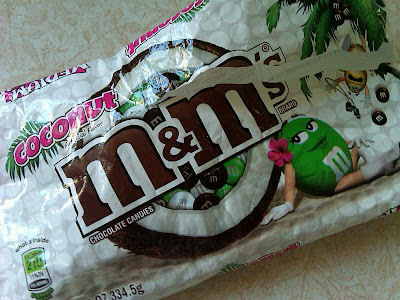 Anyhow, because I had a surplus of sweets hidden in my cabinet post Christmas, I forgot I had the M&M's. Well, I forgot until I found them on Monday. And so I opened the bag and ate a few. This may have happened a few times Monday, I can't be certain of how many exactly. On Tuesday, after lunch I grabbed another handful. They were so satisfying I helped myself to some more. This morning, I decided a quick handful before errands would do no harm. 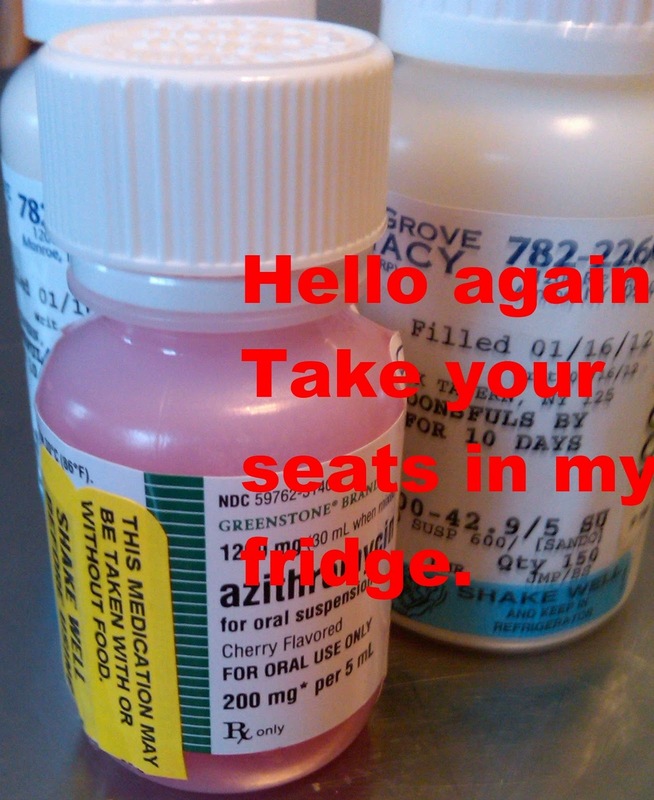 And so I took some. And then I discovered the reality of what had transpired in forty eight short hours. Time to plug in the treadmill. Every morning, by 8:30am, I look for a reason to leave the house. All because I need a Starbucks. Monday: Legitimate trip to Target to buy paper towels, paper plates and check for new curtains. I arrived to the pleasant surprise of new carts. And the employees (er, "Team Members") moving merchandise and rearranging the store. My heart was racing with red sticker excitement. I left with my items, minus the paper plates I forgot. 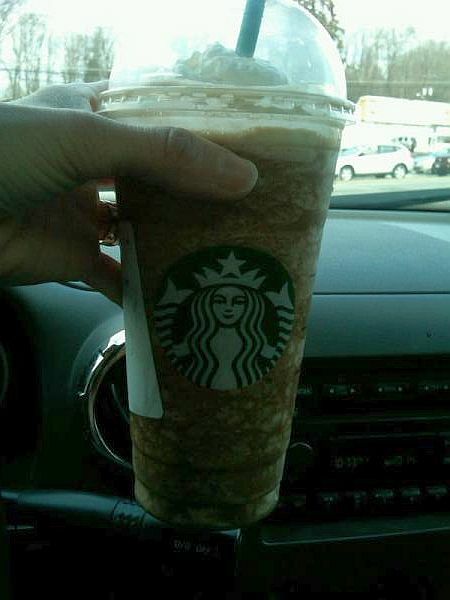 Oh, and of course my Frappucccino. Tuesday: Needed a jug of water and juice. The grocery store would suffice, but why go there when I can go where a Starbucks is located? Back to Target. I left with clearance winter boots, water and juice. And a Frappuccino in hand. Wednesday: Winter boots need to be returned. Turns out there is a pair in my basement the Gymnastics Queen used when she was three. Hand-me-down boots cost nothing, clearance boots were $7.00. I'm sitting here pondering if I should return the boots today, or fight this ridiculous need for a $4.00 frozen coffee. Although I do still need those paper plates. The trials and tribulations of me. Lately I've decided to eat my ice cream out of a mug. The scoops stack perfectly, and the sprinkles are easily layered between scoops. When prepared by me, it also holds the perfect amount of ice cream. Approximately 5 servings. Sometimes it just feels good to shake things up a bit. The soul needs some fresh air every now and again. If we're not careful we get boring and predictable. Our creative juices slowly fade away, and before we know it we're (gasp) ordinary. This year I dare you to paint a room. Or wear chunky earrings. Burn the fancy candles or try something new off an old menu. 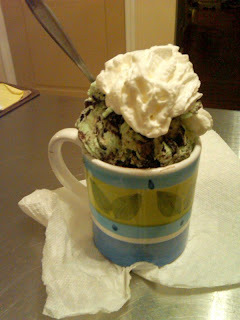 Or when all else fails, eat ice cream out of a mug. It's less scary and extremely delicious. Today I arrived at work to awful news. A fellow server's father passed away. This came on the heels of her younger brother passing away just a year ago. He also committed suicide. To make a very long story short, her brother was bullied. He was taunted online and in school. He was assaulted, called names and made to feel worthless by his peers. He felt so worthless he felt his life was not worth living. This shattered his family. And today we saw that his father was shattered beyond repair. This terrible story sheds light on a growing epidemic in this country that we have struggled with for years. No one should ever be made to feel as though they are worth nothing. No one should feel such despair at the hands of someone they seek approval from. Childhood is a scary place. 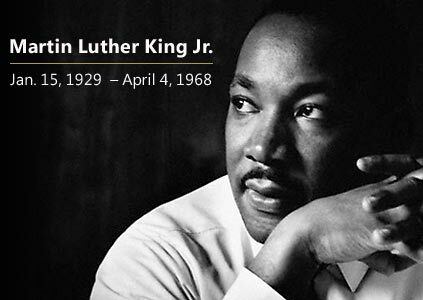 There are lessons to be learned and paths to be paved. There are so many questions that need answers and so many uncertainties along the way. Children need constant guidance from their parents and teachers. We can't afford to let them down. We need to pledge that acts of cruelty will not be tolerated. 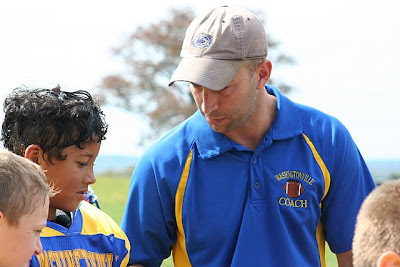 We need to exemplify patience, kindness and a gentle nature for younger generations. Children learn from what they see. And it's time we teach them humanity. Every day, every hour and every minute. Slow down and reach out to someone who needs a hand. A small gesture can make a big difference. It may change someone's life forever. It may even save one. Mommyhood Footnote: Today was a sobering reminder of what truly matters in life. Without the people we love the world is an almost unbearable place. A place this girl I work with will face each morning when she wakes. Hugs those kiddos tight today, and every day for the rest of your life. Warning: This is a re-post. 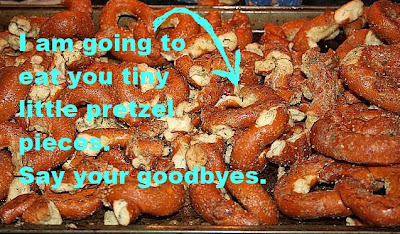 These will also leave you as bloated as a puffer fish tomorrow morning. 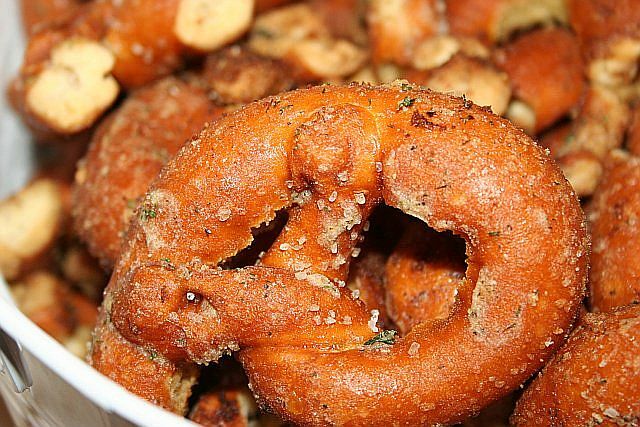 I am re-posting these delish snacking pretzels for three reasons. 2. When watching football, munchies are rampant. 3. These are ideal for the munchies. 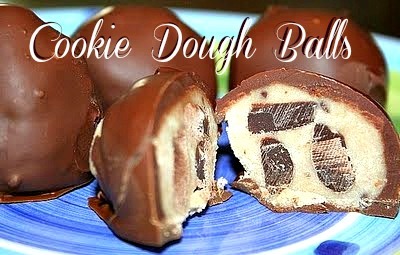 I am posting early enough for you to hit the store and gather the necessary ingredients to make these bad boys. And you will be so glad you did. Well, until you wake up resembling a puffer fish. 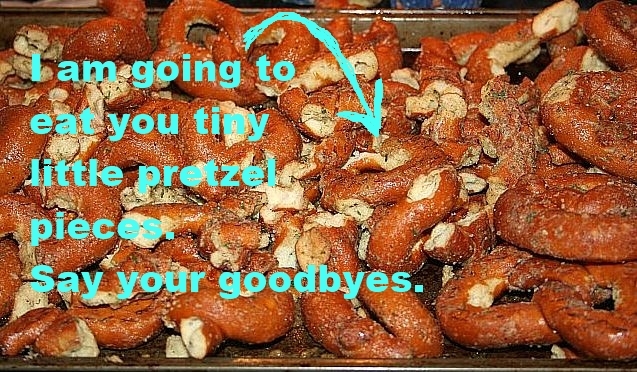 Pretzels will break, and this is wonderful. Rejoice and be excited because you will eat them. Then settle in for kick-off with cold brew, or a Diet Coke if you're like me, and hover around the oven until they're done. Its been a LONG time since I've blog hopped, and I must say, this feels pretty good. I'm home, in jammies for another few minutes, and I'm joining in the fun. Cold. Well, it could be worse. It HAS been worse. Living in the northeast translates to living in subzero temperatures from December through March. This winter, we have been blessed enough to see many days reach the 40's. Even the 50's. And snow has been nonexistent since the freak October storm that left hundreds of thousands of us without power for DAYS. With that jinx being said, I will now brace myself for a snowstorm. And no, 90% of the time, I do not like this weather. It is only fun around Christmas. I'm definitely living a few states north of where I was meant to reside. Gingerale. Television. Bed. In that order. I can't even think past this weekend. I work in increments so as not to create stress. One thing is get our hot water pressure fixed. It's atrocious. And I called the plumber three times this week. No, but I have been called to duty enough times. Please oh please leave me alone until I have no babies at home all day. A dog. In a house with no children. 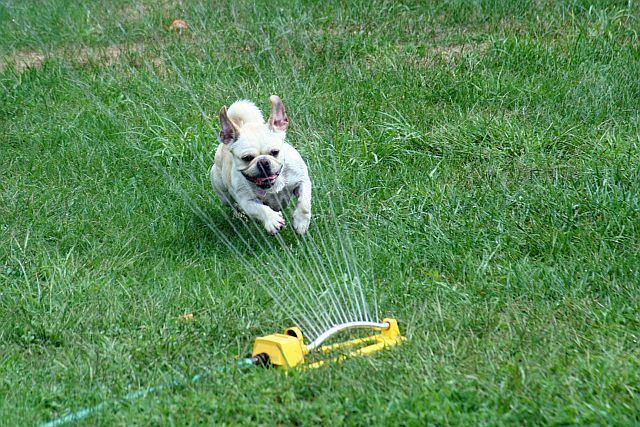 I want to be one of those dogs that lives with people and it IS the child. Man, that is the life. I want presents on Christmas, to sleep in a bed, to get groomed and to go on vacation. And I want no one to poke me or sit on me. Oh, and I want a few doggie sweaters too. I just returned from another exhilarating evening at work. I was pleasantly surprised to start my shift at 4pm and see a large buffet set up in the dining room. 1. Thursdays are typically not a busy night at work. This means we leave work with a little more than dink. *"dink", in waitress speak, means "just about nothing"
2. A large buffet means a large amount of people. Which means gratuity is included. And they are being charged for every person that is sneaking through the buffet line. Oh yes, we count you. We count you more than once. 3. Buffet means they are serving themselves, and we are just cleaning plates and serving drinks. Hallelujah. It's like a working vacation. With the buffet breakdown complete, I will now add that we had a nice "bump" after 7pm. We had people flocking in hungry for French Dip and draft beer. Must have been something in the frigid air. With the buffet, the "bump" and the draft beer our evening wasn't too shabby. I left work with some nice cash in my pocket. It's actually burning a hole as we speak. My Starbucks card needs reloading and my gymnastics tuition is due next week. 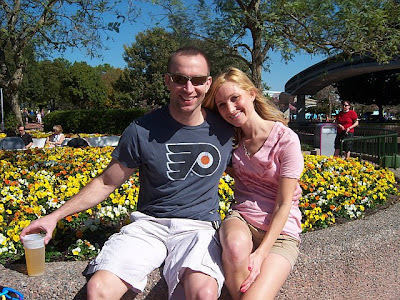 Mommyhood Footnote: Spell check corrected seven words in this post. Man these eyeballs need some rest. Or some ice cream. Or a little DVR. I think they need all three. This morning, the Moopa was in rare form. I can't explain it. Her outbursts and defiance can't be attributed to lack of sleep. Or hunger. Or clothes that were too tight or shoes that were in need of removal. I attribute it all to her age falling between the ripe old years of 2 and 3. Moopa just decided she was going to be a tiny monster. A flailing, wailing, bugger-faced-24-pound-beast. All I asked of this child was to wear a coat. It's a balmy 32 degrees today in our northeastern part of the United States. One would think a coat would be a welcome suggestion. Moopa did not. She fought me. Hit me with her bag of cookies. Arched her back and weaseled away as I tried to finagle her arms through the holes. I finally calmly placed her in her crib. I was left with no alternative. Moopa threw more things. She screamed until she realized her whereabouts. She eventually gave in and accepted defeat. I then rocked her calm and we put on her coat. And because I hold no grudges, I gave her a new bag of fresh cookies for the ride. Fight me all you like, I will smile through the madness and find away around your insanity. Mom will always find a way. Always. And I will be there with fresh cookies when the dust settles. On January 1st, our church was holding a "Pajamas and Pancakes" service for all the little ones. 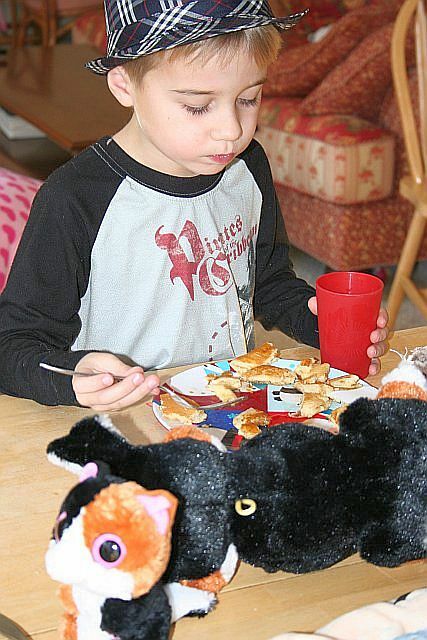 Kids were to come in pajamas, bring a stuffed animal, and gorge themselves on pancakes. Despite our best efforts to make it there, we never did. Working until 1am New Year's Eve quickly put a nail in that coffin. 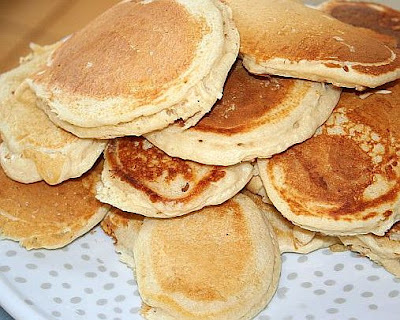 Rather than miss out on all the fun, I decided to hold my own "PJ's and Pancakes" for the munchkins. Once Hubby and myself were up and functioning (functioning being the key word in this sentence), I gave everyone an assignment. The Gymnastics Queen made invitations to hand out to the family. She fancies handwritten letters the same way I fancy mint chocolate chip ice cream. My oldest was in charge of taking orders. He lined them up for me to view as I flipped pancakes on the griddle and cracked eggs for the frying pan. The tiniest two were in charge of setting the table. This translates to only LLG set the table. He carefully set out syrup and napkins while Moopa enjoyed her carefree toddler lifestyle. Once the pancakes were abundant, we all gathered around the marker stained, much loved, kitchen table. We inhaled pancakes, toast and eggs. Chocolate milk was served and syrup was poured. We quickly decided this will be an annual event to ring in the New Year. Everyone loves pancakes, everyone loves pajamas, and stuffed animals finally have a seat at the table. Oh, and nothing beats a family breakfast. 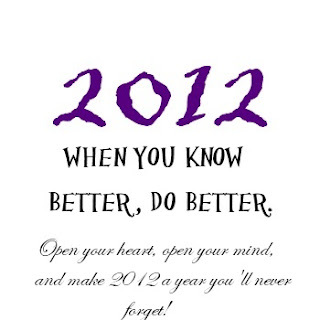 This morning on the radio there was much discussion about 2012. And what was being discussed really had me thinking. All jokes aside, I keep my life light. I try not to make a deal out of something that shouldn't be a big deal. Stress is a friend to no one. And so I rarely touch upon topics that reach beyond my diaper changing, taxi driving expertise. Today I feel the need to voice just a bit of what I wish for this year. And it has nothing to do with treadmill runs or being more organized (although both are on the personal short list). I hope this year we take back our holidays. I wish for more employees to have off on Thanksgiving Day and for Black Friday to be ON FRIDAY. I wish for family time for everyone, and for corporate greed to relax. To chill. Because you can't take it with you when you die. Eventually, the pace has to slow down. We can't run on fast track forever. And I wouldn't want to. Too many important moments are missed when we live too "fast". I wish for small towns to be revived. I wish for them to thrive. I am personally tired of driving past vacant shops in my downtown. If we don't start supporting small town America it will be gone before we can say "Walmart". And I'm not saying Walmart is a bad place, or not to shop there. I love "rollbacks" just as much as the next frugal shopper. I'm just saying we can't do ALL our shopping there. Strolling downtown is good for the soul, and for our neighbors. I wish for people to save more, and spend less. Because there is great peace of mind when the bills aren't rolling in. If the cash isn't in hand, wait until it is. We need much less than we think we do. I know this year, possibilities are endless. And there are great things in store for everyone. But these great things have to start with us. Today, as soon as I dry my quickly frizzing hair and remove myself from this computer, I am getting back to the grind. The house better be ready, because it has no idea what's coming. The tree has been warned, it will be stripped naked of its glistening lights and ornaments by noon. It will then be dragged (by Hubby) to the woods, where it will live for all eternity. I will then spend an hour sweeping up pine needles and organizing the Christmas storage area that is 20 degrees. Laundry will be washed and folded and windows and counters will be cleansed. Happy 2012 everyone. Time to get life back in order.